Our Diamond Edition OHUMM THE CONNOISSEUR is our pride, a super premium pure Dutch Genever blend (DUTCH GIN) that offers a beautiful aroma to the nose, lingers in the mouth before going down as smooth as silk. THE CONNOISSEUR is exceptional in every aspect and as such for those who want to celebrate an even more exceptional achievement with the lucky few to where this unique taste with. Our master distiller has create a masterfully crafted masterpiece and now we offer it to you! OHUMM Platinum Edition can only be collected on invitation basis. To be allocated a bottle please send us an email and we will add you to our list of connoisseurs selected to be a proud collecteur of this unique blend of Dutch Genever. The OHUMM Diamond Edition Genever is a remarkable Genever. Our master distiller created a complex, organic blend of the finest, purest grain distillate and pot still distilled Malt Wine from Holland produced since 1777. The grain distillates have been aged for more than 10 years in meticulously selected oakwood barrels. The Malt Wine is distilled 3 times according to the highly regarded Schiedam municipal directive of 1902. The eminence of this Genever is further magnified when it is distilled once more with the finest organic herbs that are collected from exceptional places in the world. This 4 times pot still distillation process gives the Diamond Edition its fruity taste that is harmoniously combined with the mellow oakwood taste. As such the product has a long lasting multi-layered smell and fabulous taste experience known as the “OHUMM Touch”. The detailed creation process affirms the best quality of a truly international OHUMM Genever, a drink for the respected connoisseur to enjoy and an exciting product for the mixologist to do the magic ! Our 1 liter bottle OHUMM pure super premium Genever is the epitome of the spirit of OHUMM, beautifully decorated and masculine. 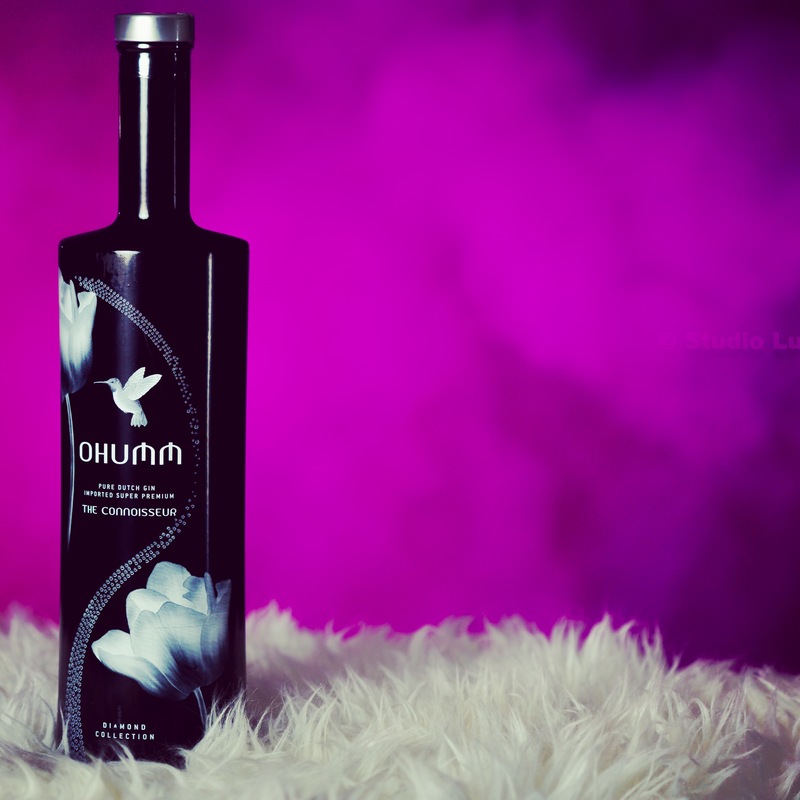 The OHUMM Hummingbird stands for courage and exceptional interest in having a taste of something foreign, The Dutch Tulip. The Dutch Tulip is not an ordinary flower to the Hummingbird, they are strangers to each other, each from different parts of the world. The Hummingbird from the tropics reaches out to the Dutch Tulip in the West in his quest to taste a drop of exceptional nectar, the unique taste of OHUMM.